Hello! It’s been quite a long while since I did a DIY post. This time I wanted to learn something a little new and saw some videos on how to create a plushie with a pair of socks. 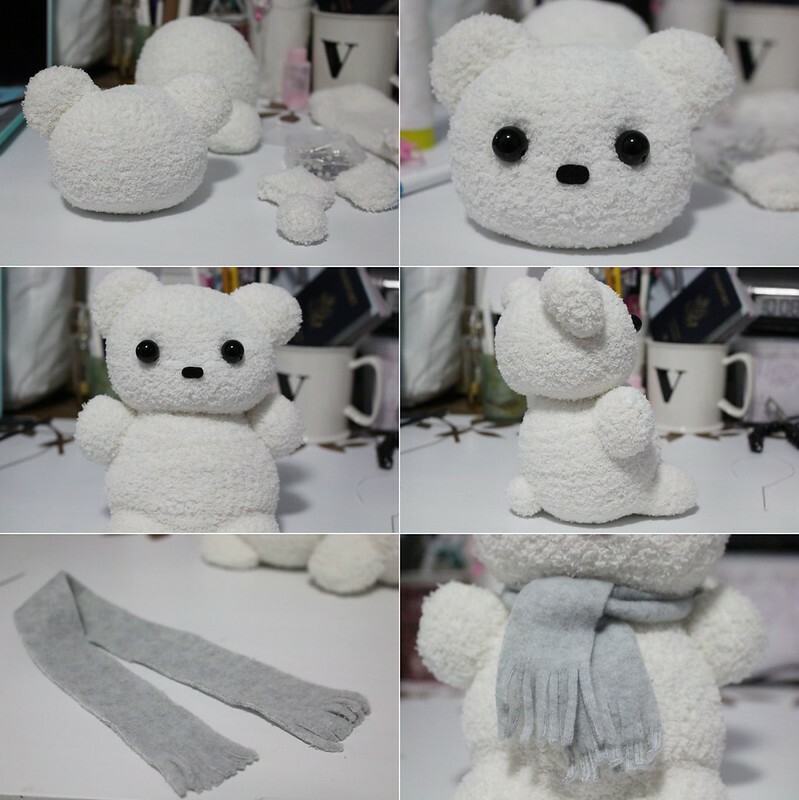 I found this tutorial on youtube to be the most useful and had followed most of her steps to create my little bear. I bought a pair of fuzzy socks at Target and as the video had suggested, I stuffed one sock with polyester fiber fill before cutting off the excess sock. Then, I sewed it close and began drawing the feet on the inside of another sock. After hand sewing the outline of the feet, I cut it out, flipped it back out, and stuffed it. Moving on, I drew the hands, ears, and tail the same way before sewing and cutting it out. As the video tutorial shows, I attached the ears to the head before working on the face. I didn’t follow this part exactly; I used beads for the eyes and I didn’t feel that my bear needed a white nozzle like hers. Then, I attached the different body parts together and the bear was completed. I had some extra fabric lying around so I cut a strip off and created a little scarf for the bear. Then it’s complete; I have a new winter teddy bear! 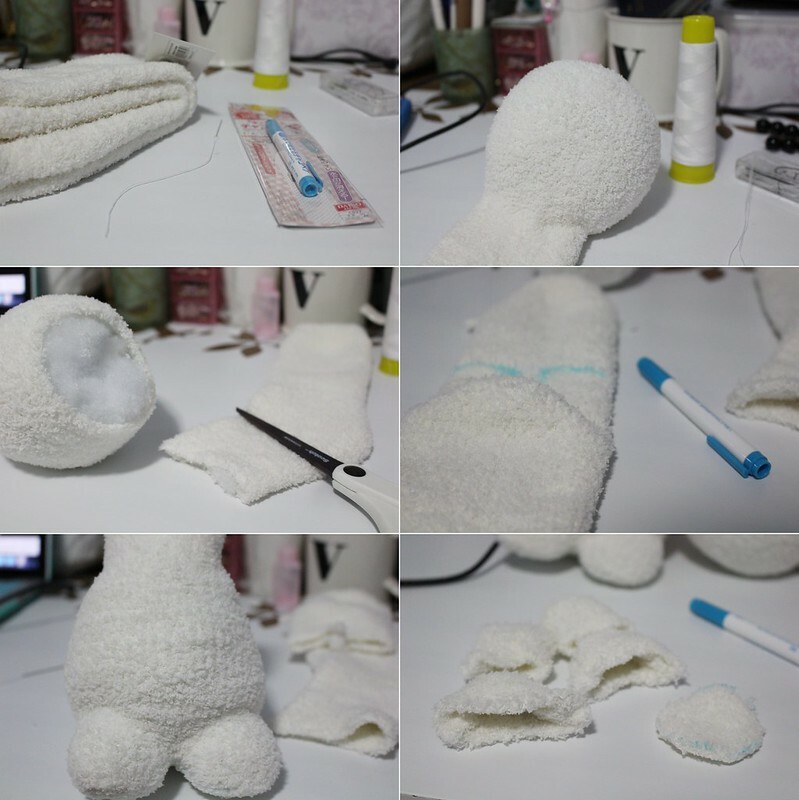 Have you ever tried making a sock plushie before? I am always so amazed by your DIY post, very talented Vicky!!! !